Virgin Hotels CEO Raul Leal told Solomon he got the idea after being frustrated by the phone at a competing hotel, which had nine different icons to call for various services, including housekeeping, the doorman and the valet. “As a guest, I just wanted one button,” Leal said. Leal’s idea is just about making the experience easier for the customer. No one has to fumble around to find the right icon or risk getting the wrong department and being told to contact someone else. A single button streamlines the customer experience, making it simple for customers to get what they need. However, Leal’s idea also gets to the heart of one of the most important customer service principles: Whenever possible, just say yes. Organizations that excel in customer service make this their mission. Rather than pushing back or finding reasons to say no, make the customer’s happiness the No. 1 priority. 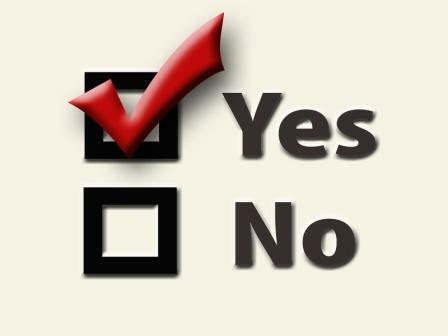 Creating a culture in your organization where the default answer is yes requires some effort. Sometimes even employees who mean well think they cannot say yes because they are bound to follow strict policies and procedures, or because they see superiors pushing back when customers make a request. Here are some tips for shifting your culture that will lead to higher customer satisfaction, greater brand loyalty and better customer retention. Empower your employees: Whether we’re talking about call center agents or customer-facing employees, empower your employees to make decisions that are in the best interest of the customer. When employees are bound by strict guidelines, procedures and rules, they feel like they have no choice but to say no when a customer’s request is outside of those, even if it’s reasonable. Policies have to exist in some capacity, of course, but give employees the leeway they need to make exceptions when a customer’s happiness is at stake. Approach it from the top down: If leaders aren’t in the habit of saying yes to reasonable requests, employees will model that behavior. Think about how you, as a leader, communicate with employees. If you’re constantly saying, “I’m sorry, we can’t do that,” chances are your employees are doing the same. Be mindful of what you say, how you treat employees and the example you’re setting. Reward employees for saying yes: As Solomon points out in his piece, you have two choices: punish employees for going the extra mile for customers (because it goes against policy, takes too much times or reduces productivity) or reward them for providing great customer service. Companies that have mastered great customer service do the latter. The rewards do not have to be financial – simple recognition goes a long way. Hire customer-centric people: When interviewing for customer service positions, dig deeper to understand the person’s philosophy when it comes to customer service. Are they simply interested in punching the clock every day and earning a paycheck, or do they genuinely enjoy helping people? Ask the interviewee to share a story of a time they went above and beyond for a customer. Kunnect sells 100% cloud-based call center software that includes a predictive dialer to businesses and political campaigns. Our software, hosted seamlessly in the Amazon platform, manages all inbound and outbound calling for a flat rate of $125 per agent per month with a flat deposit of $125 per user. There are no hidden fees.